Missouri played a critical role in America’s expansion. Pioneers, frontiersmen, and gold miners all set out from St. Louis, traveling up the Missouri River to other destinations. Lewis and Clark, the famous explorers commissioned by Thomas Jefferson to find a water passageway to the Pacific Ocean, began their journey at Camp Wood, near St. Louis. The Osage people lived in large numbers in present-day Missouri, which was purchased by the U.S. in 1803 with the Louisiana Purchase. In 1846, Dred Scott, a slave, sued the state for his freedom. He lost, but the case received national attention, fueling debate over the issue of slavery. During the Civil War, the state was sharply divided on the issue of slavery. 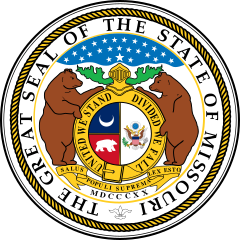 Missouri did not leave the Union during the war. Gateway Arch, which soars 630 feet high, is the tallest U.S. monument. It honors the pioneers who began their journey in St. Louis. The Ozark region is popular for its caves, forests, and lakes. Branson offers country music, entertainment, and an amusement park. At one time, much of the state was covered with prairie grasses so tall that it could cover a horseback rider on a horse. Today Prairie State Park is one of the few places where these grasses still grow. Missouri was home and birthplace to Mark Twain, one of America’s most beloved writers. 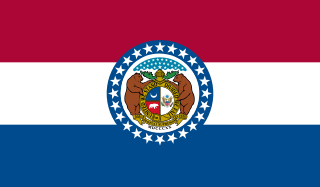 Question: What animals, reptiles, and birds live in Missouri? Answer: Bison, black bears, bobcats, gray wolves, peregrine falcons, and alligator snapping turtles are just some of the animals living in Missouri. Watch a video about Missouri. Declan, Tobin. " Missouri Fun Facts for Kids ." Easy Science for Kids, Apr 2019. Web. 25 Apr 2019. < https://easyscienceforkids.com/missouri/ >.